Join us for our first Summer in the City evening roundtable discussion series about design relationships, starting with architect couples. Architect Couples was inspired by the joint Gold Medal awarded to Denise Scott Brown and Robert Venturi, following a widely-published petition. As a result, the AIANY Architecture Dialogue Committee began thinking about work/life balance and the struggle architects face to find their design voice while developing long-term relationships. Couples in all stages of their careers build practices and build families. Panel participants will discuss the challenges they faced as designers and couples. The sidewalk shed is down, revealing the glass storefront. The pillars on the corner of the property will be finished soon. The storefront has been revealed on the Worth Street facade as well. 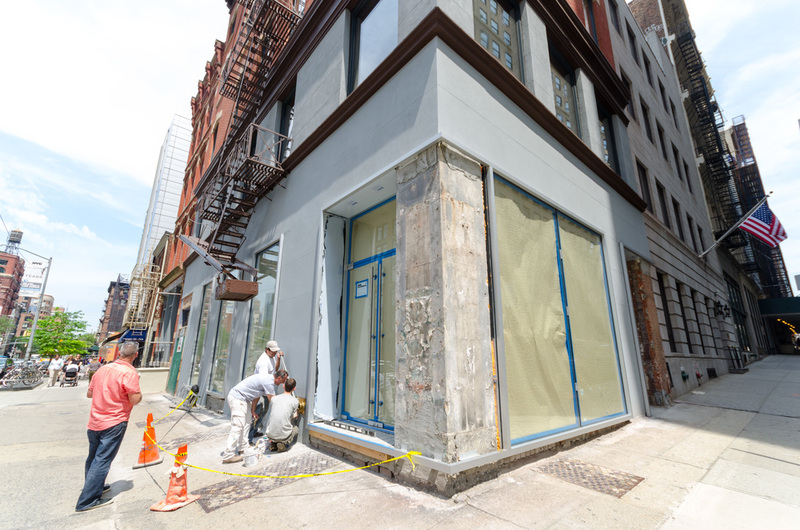 The pilasters will be clad with their finish material shortly, then the sidewalk work will begin, creating a smooth transition into the retail space. The elevator installation is complete! The final task was to get the light fixtures installed within the elevator cab. The metal and glass stair railing is being installed (the steps have been built for some time). Living room of the 2nd/3rd floor apartment with windows looking to the south (financial district). The kitchens are just waiting for the coutertops and backsplashes. The custom wood counter (covered for protection here) is built, stone countertops to be installed shortly. The living room on the top floor with its large custom corner window. Planters with ivy are still to come, but the roof decking is complete with sweeping views of TriBeCa & the Freedom Tower. 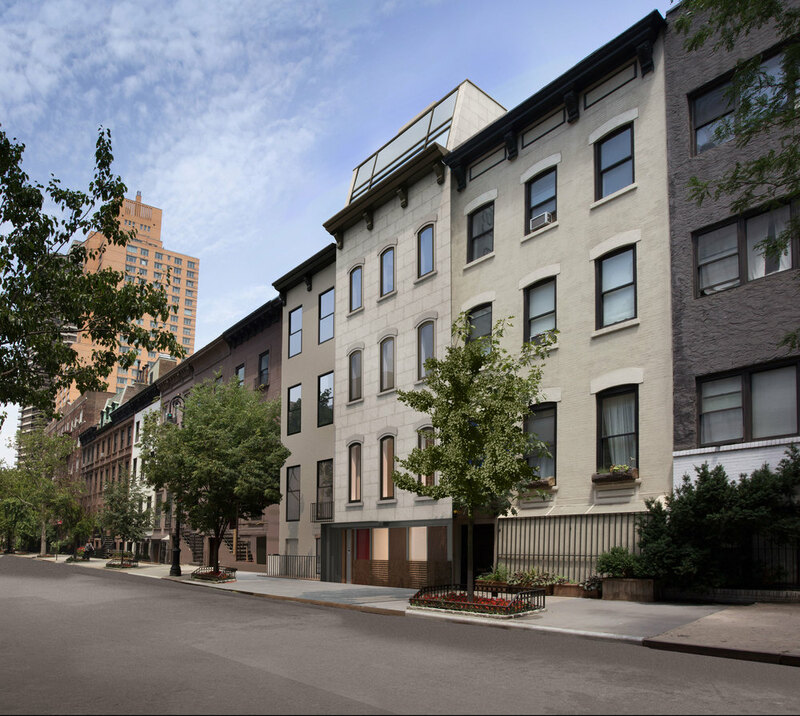 Check out the slideshow below for the latest updates in construction at the 61st Street Townhouse. The top-center window pane can be opened to let in fresh air and is remote controlled by the homes technology system. The fireplace and built in entertainment cabinets still need to be installed, but the high ceilings and large skylight create an incredible space. Radiant floor heating is being installed. The courtyard space between the coach house and townhouse is full of construction material as the facades of both buildings are being finished. The underground passageway connecting the townhouse and coach house. 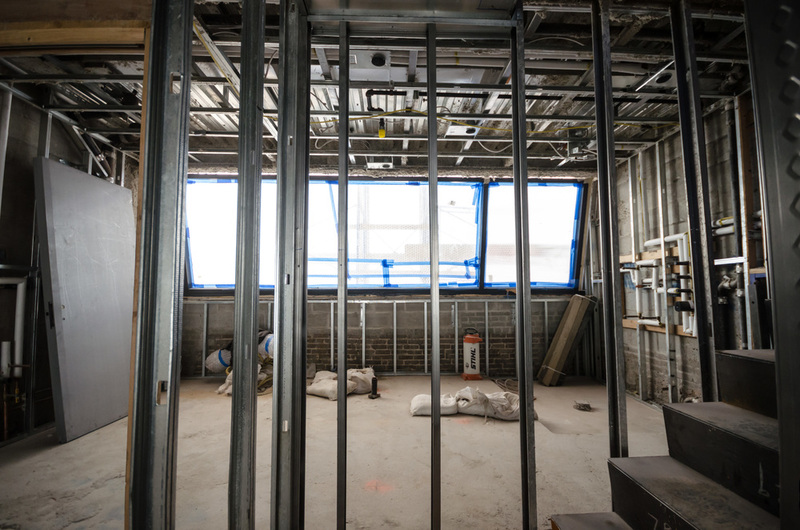 Soon, a custom wine cellar and cabinetry will be installed, as well as skylights to the courtyard above. The large space will contain a steam shower, stand alone tub, vanity with built in TV, toilet, and radiant floor heating. The windows have been installed. Each side panel is opaque glass to provide privacy, while the center panel is clear and will have a remote control shade. A view of the master bedroom looking towards the master bath. The entire floor is dedicated to the master suit, with an elevator entrance and stair to the roof deck. The steel staircase is installed, but still needs its wood finish. The view from the roof deck looking south at the midtown skyline. 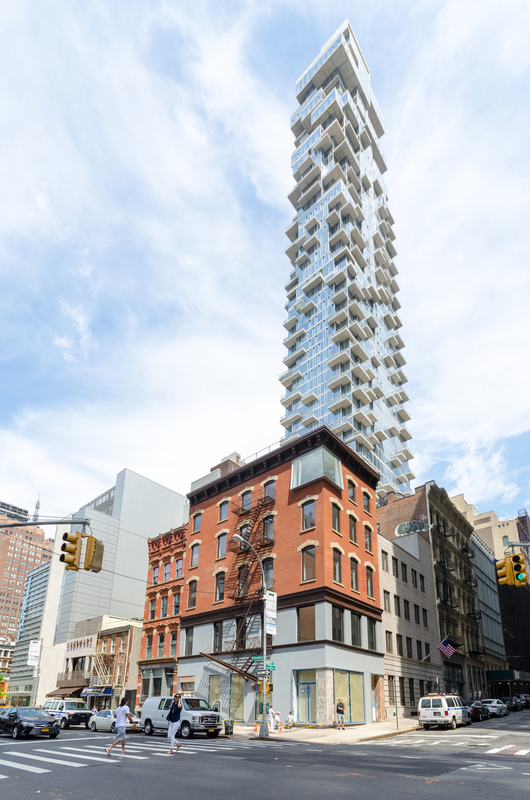 newyorkyimby.com/ …/new-details-revealed-of-seven-sto… it is exciting to see our last conversion come to life! 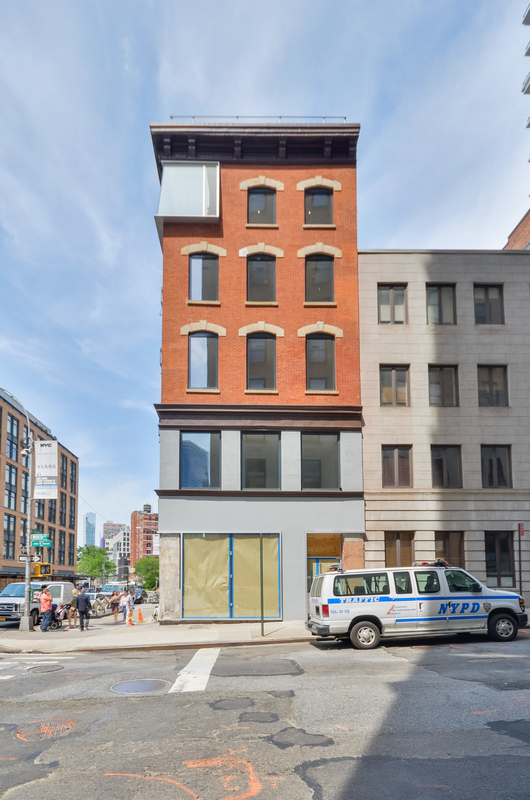 6 Cortlandt Alley's first interior images! 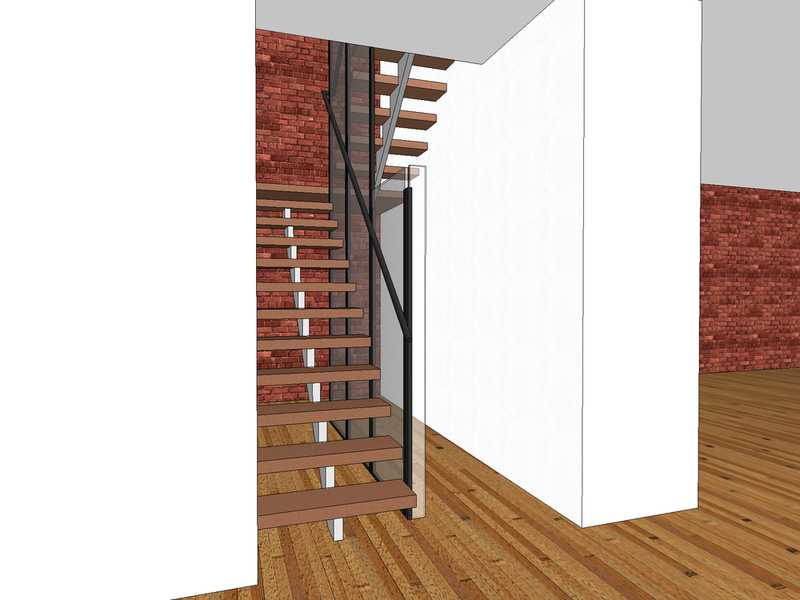 The first interior images of the six Cortlandt Alley/372 Broadway. 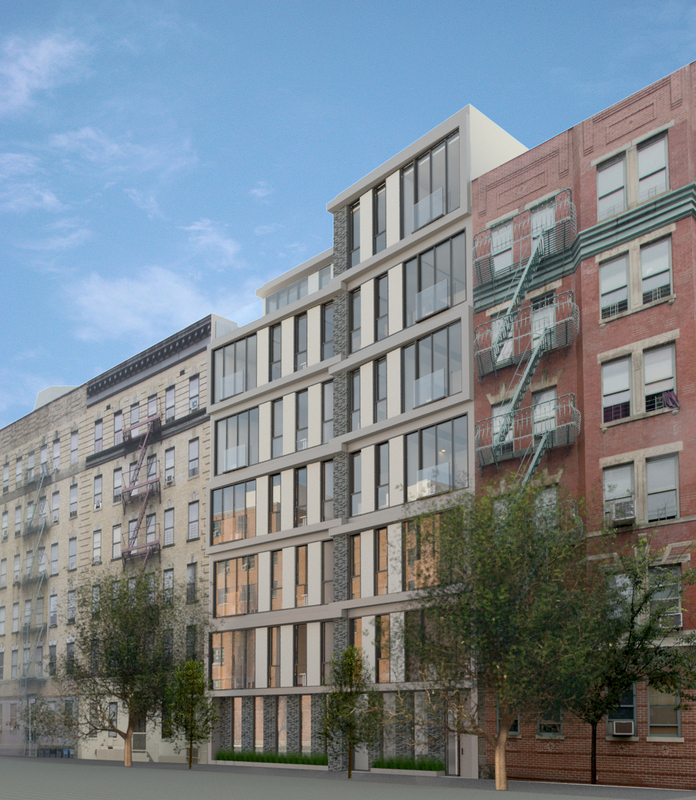 6sqft released an article today, summarizing the design process of our project at 336 East 112th Street. The article even included an embedded 360° virtual reality view. Click the image above to see for yourself. 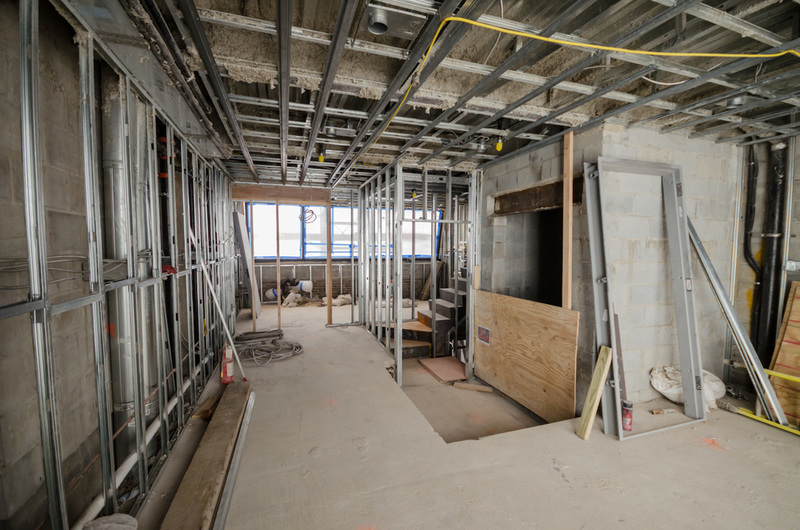 Construction continues on the 61st Street Townhouse. Lots of progress at 173 West Broadway this week. The roof deck is complete (just in time for unseasonably warm March afternoons), the storefront windows and elevator cab are being installed, and the kitchens are nearing completion. The building has two duplex apartments, each with similar private stairs. The glass and steel wall is self supporting and acts as the spring point for the handrail. Initial 3D scan results are in! We got our first look at the results of the 3D scans. Even without the color, its clear that much of the interior and exterior details have been captured. This image shows the castle with about half the scans pieced together. The scan even picked up the detail in the surrounding buildings. Interior plan view of the 1st floor. The individual rooms are clearly shown, with detail floor and ceilings. Once all the scans are combined, we will be able to see the full building with color.